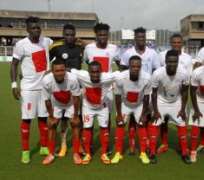 Nigeria Premier League defending champions, Rangers International, has been dumped out of the AITEO Cup. The Enugu State representatives lost 6-5 on penalties to Unicem Rovers after regulation time ended one all. Rangers scored first in the seventh minute before the homers drew level in the 15th minute of the tension soaked tie at the UJ Esuene Stadium in Calabar. An elated General Manager of Rovers, Maurice Inoch, told the media that he feels it was still like a dream when the referee blew the final whistle. “It's not about home advantage, we were the underdogs but the doggedness of our players showed that we can go places if we get the required support from all existing agencies in the state, including the corporate world,” Inoch pointed out. Inoch said the victory has been dedicated to their State Governor, Ben Ayade, who has been very supportive but also noted that more support was needed from the state and Corporate Nigeria as the team has demonstrated that it has capacity to conquer the world if well oiled. Teams In Round of 16: Ben Women FC, Ibom Angels, Jokodolu Babes, Sure Babes, Sunshine Queens, Nasarawa Amazons, Osun Babes, Abia Angels and Bayelsa Queens, Edo Queens, FC Robo Queens, Confluence Queens, Beautiful Tours, Rivers Angels, Bayelsa United Feeders, Pelican Stars. *Akwa United Vs Yobe Desert Stars (Uyo, 6 September 4pm).